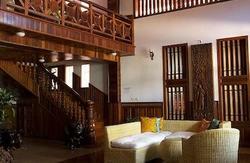 We are a Khmer family-run business that aims to provide our guests with a home away from home! Our family mainly focus on Cleanliness, secure property, reliable and trustworthy service in order to ensure that your stay with us will definitely be positively remembered! 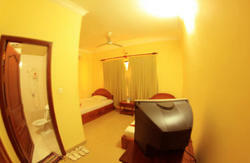 We offer many complementary services with a low and budget room rate everyday and season. We also offer weekly and long term rates and discounts for group bookings and volunteers long term stay. Enjoy a friendly, relaxing and intimate stay with us in our 16 exclusive private Deluxe Rooms (A/C room); each room comes equipped with 80-channel satellite TV, hot shower, and fresh sheets and towels when our staff cleans your room everyday! Do you want to know where the best food is? The best and most affordable tours? Or just a unique experience altogether? Just ask any of our friendly staff who will be around 24 hours a day. You can also enjoy the Hak's Cafe set in the garden in the front yard. We serve khmer and western food. You can try the khmer curry chicken or the khmer amok fish. We make many fresh local fruit shakes for only just 1 USD. We also have many beer in the evening and our beer starts from 1 USD, let's try our Angkor Beer (my country but your beer) Cheers!! We have many songs of collection if you are in too party. Boat Arrival time and from where. 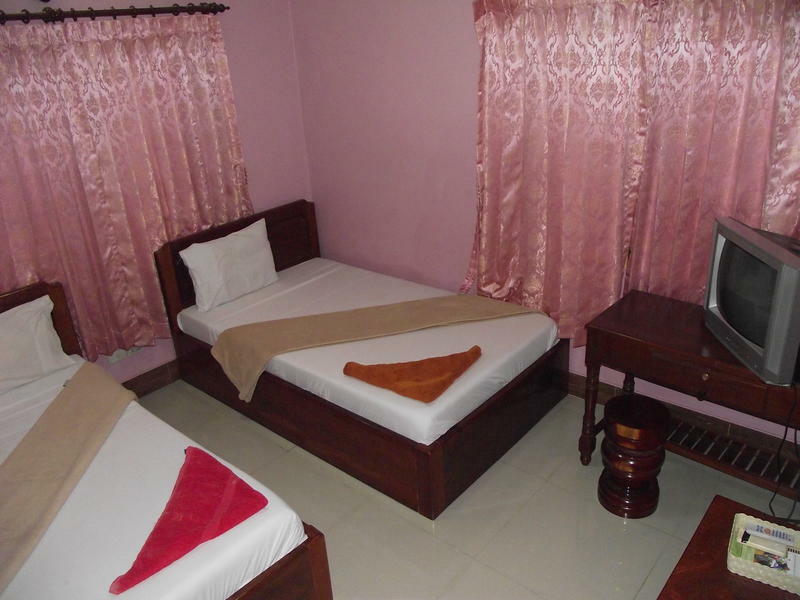 The thoughtfully chosen location of the guesthouse makes sure that your visit does not start in the hustle and bustle area around Pubstreet and the Old Market (beware of pickpockets). Enjoy the safety and quietness of the neighborhood around Hak's House! 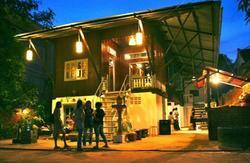 You can also experience the typical Cambodian lifestyle. We also offer weekly and long term rates and discounts for group bookings and volunteers long term stay. Whether you are coming from the airport, bus station or boat dock all you have to say to the tuk tuk or taxi driver is ( I would like to go to build bright road and want to stop next to Build Bright University). We are just 2 houses after Build Bright University. To walk from the old market will take you about 15 minutes, you will to take the 1st road on your right hand side at the roundabout of the old market and after you will take the right road and that road is called Build Bright road already so just keep walking 10 minutes straight until you will Build Bright University so just walk pass build bright university 2 houses you will see us. Call us for any help for getting to our hostel, we can send our tuk tuk driver straight away to get you there at anytime.